Keep the fish smell out of your cooler. 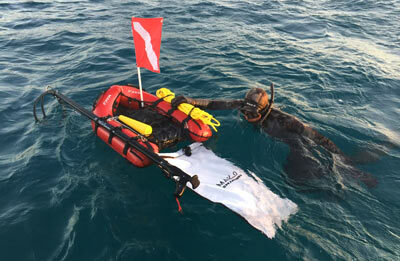 This is the same durable PVC fish bag that also serves as the optional shark bag on the MAKO Dive Board Platform. Keep the sharks from getting to your catch. Measures a whopping 33” long x 19 ¾” wide and rolls up neatly with Velcro straps until needed. Small and compact when folded. Will use it instead of carrying big coolers in the car! This appears to be sturdy and well made. I have not used it yet, but I know it will do the business.